Sorry George. I came home early from Trick or Treatin’ on Halloween, 1958 to listen to the LSU – Ole Miss game on the radio. I was treated to a couple of goal-line stands, and Billy Cannon’s 89 yard punt return as the Tigers staked a claim on the National Championship they would not relinquish. Every year since then that first loss has killed me. But I’m always there in spirit when the Tigers take the field in their gold pants and headgear, white jerseys with purple trim. Since ‘58 there’s been two national championships and one that got away. This Saturday you and I had the opportunity to see this year’s Heisman front-runner, Leonard Fournette, in SEC action against Auburn. Those Tigers hammered my Tigers last year with a 41-7 whipping that wasn’t that close. But all that went to the rear-view mirror on the first play from scrimmage when our Leonard went 71 yards up the middle. 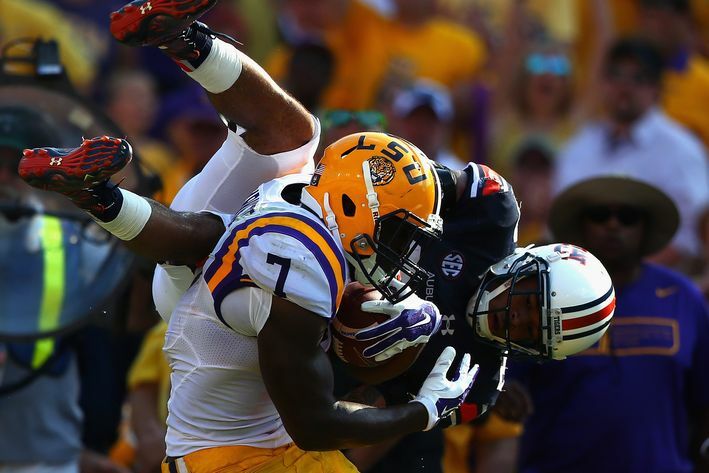 Fournette went on to score three TDs and rack up 228 yards on the ground. Revenge was got to the tune of 45-21. 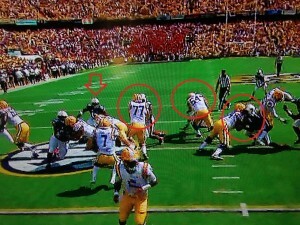 For LSU fans it was nearly a perfect game. We’ll need better quarterback play to beat Alabama and Mississippi, but he committed no turnovers and those big games are nearly two months away. The offensive line pushed around Auburn seemingly at will, and the defensive line was off the ball so quickly they looked off-sides. Yes, it was my kind of violence. We’re in the early stages of the monarch butterfly migration here in central Kentucky. A few weeks ago they began leaving Canada and northern USA on their long fall flight to Mexico. I saw one yesterday looking confused. She crossed an open field to our huge parking lot, then began circling as if she’d lost all sense of direction. Gradually she began to gain altitude. I watched her go up, up, up until he was too small to see. The Google later told me that she’d found an updraft over our hot gravel lot, and rode it to cruising altitude where somehow she knew the winds were blowing southward. Monarchs have been spotted as high as 11,000 feet, always riding the prevailing wind in their desired compass heading, bound for great, great-grandma’s home in place she’s never been before. How do monarchs know which way to go without prior experience or a Garmin GPS? We don’t associate advanced planning with insects, but they follow a weather-dictated schedule on a flight plan over a route with food, shelter, and drink. And they only travel on days with favorable weather. Just another of nature’s mysteries? Love the monarchs. They need help. Yes, and they are amazing.